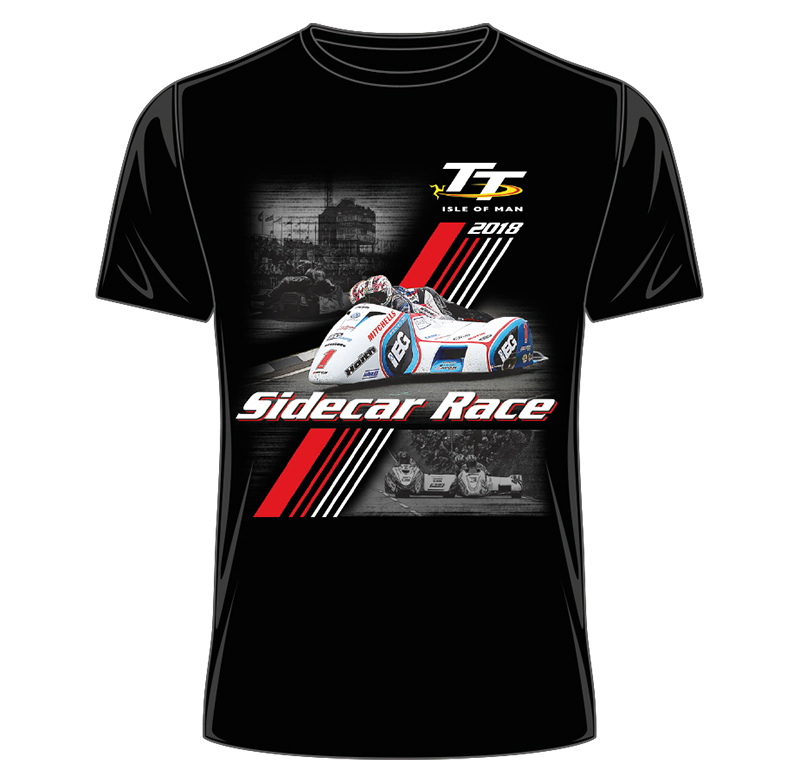 Essential wear for all TT sidecar fans - the official Isle of Man TT Races Sidecar T-shirt. Featuring current lap record holders Ben and Tom Birchall, plus Dave Molyneux and John Holden neck and neck at the Creg-ny-baa and Tim Reeves and Mark Wilkes about to leave the startline. 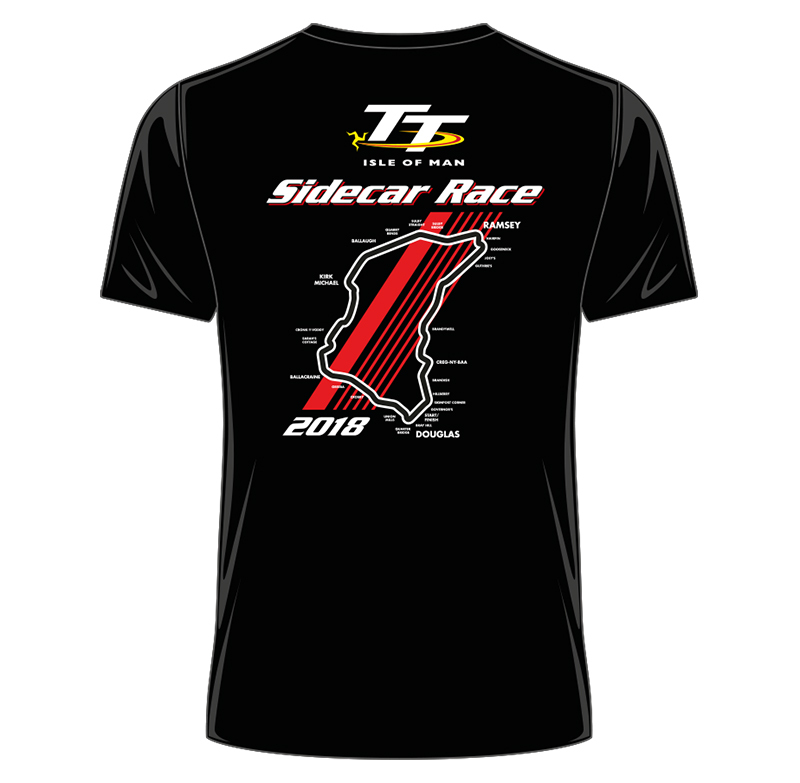 The rear of the T-shirt features a map of the course.